Our whole team wishes you a marvelous stay on the royal terrain of one of the most extraordinary monuments anywhere, within our newly renovated hotel. Accommodating up to 60 guests, our restaurant welcomes you in true Versailles spirit with nods to the history of the city and its palace. Enjoy a modern and seasonal menu in stunning surroundings. 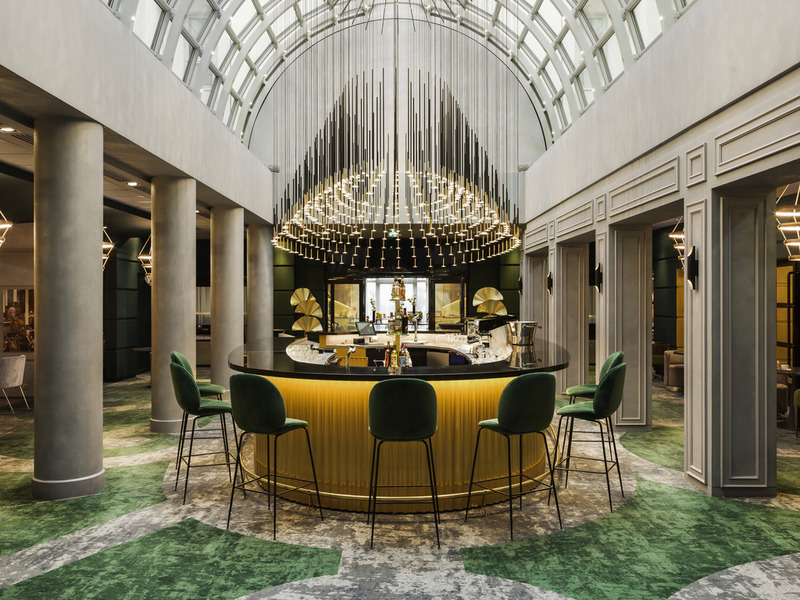 Under the bright glass roof, you can enjoy creations as inventive as the large chandelier that lights up the place with a modern, original sophistication. Ask our team for advice choosing from our vast selection or to create your own favorite cocktail. 화장실 수압, 물살이 매우 좋았음 그러나 센 물살으로 인해 샤워시 욕실 바닥이 물바다가 됩니다. 호텔 깨끗하고 따뜻했습니다 인포메이션과 가까운것도 좋았습니다. J. Mihyang님께, Hôtel Le Louis Versailles Château - MGallery by Sofitel 이용 내역 설문조사에 참여해 주셔서 대단히 감사드립니다. 고객님으로부터 좋은 평가를 받는 것은 언제나 기분 좋은 일입니다. 고객님께서 제시해 주신 의견은 모든 팀원들과 공유될 것이며 이러한 의견은 지속적으로 높은 수준의 서비스를 제공하고자 노력하는 모든 임직원들의 사기를 북돋는 데 큰 버팀목이 될 것입니다. 고객님의 소감을 알려주셔서 다시 한번 감사드리며 향후 보다 나은 서비스로 만나 뵙기를 바라겠습니다. 감사합니다. 방이 너무 올드 스타일이고 오래 된 호텔 냄새가 방에서 났습니다.